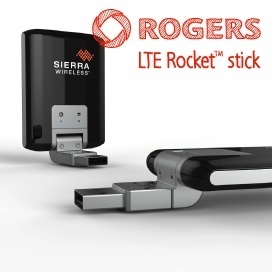 Rogers Communications announced earlier this month that it will launch Sierra Wireless’s 313U USB modem designed by White Box Design. The USB Modem will be launched in Ottawa this summer under LTE Rocket and will provide Ottawa’s residents with a mobile broadband experience similar to what they currently experience at work and at home. According to Rogers, we can expect the design to make it’s way to Vancouver by the end of 2011 and many other cities by 2012.